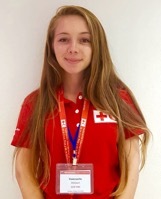 The second Q&A in the DRMCCA internship series is with Gwen, currently interning with the Regional Office of the Red Cross for the English-speaking Caribbean and Suriname of the International Federation of the Red Cross Red Crescent (IFRC) in Trinidad and Tobago. 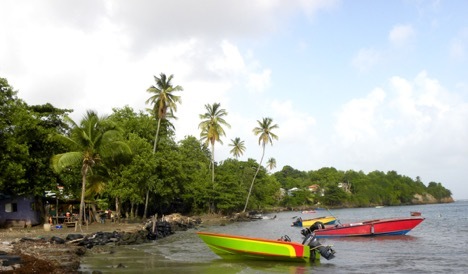 Read more about her work to better integrate ecosystem-based adaptation with community-based approaches in the Caribbean through the Resilient Islands by Design project. What is your name, and where are you from? Can you say a little about your main interests within the field of DRMCCA? My name is Gwenaëlle Delcourt Riestra, I’m Belgian and Spanish and started the DRMCCA master’s in 2017. I am especially interested in DRMCCA in islands contexts and had prior experience in the South Pacific region (Vanuatu), but wanted to challenge myself and gain knowledge and experience in another region. Where are you now and what are you doing on your internship? I am currently doing an internship with the Country Cluster Support Team/Regional office of the Red Cross for the English-speaking Caribbean and Suriname of the International Federation of the Red Cross Red Crescent (IFRC) in Trinidad and Tobago. I am coming to the end of three months interning with the Resilience Programme. I have been working on a variety of tasks, most of which related to a project called Resilient Islands by Design that is carried out in partnership with The Nature Conservancy and seeks to integrate ecosystem-based adaptation with community-based approaches in Jamaica, Grenada and the Dominican Republic. What are your thoughts about your internship experience so far? My experience has been valuable in so many ways it would be difficult to describe all of them, but overall, I think it’s not an exaggeration to say this internship has been truly life-changing. I’ve been putting into practice the learnings from my first year of the DRMCCA master’s programme and gaining insights into their practical application in the field. Something truly special has actually been to be given the chance to contribute to projects with new ideas which were valued by practitioners. What’s been a valuable or memorable moment in your internship? 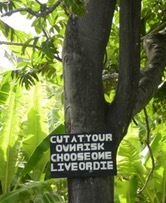 While based in Trinidad, I had the opportunity to travel to neighboring countries. In Grenada, I participated in a workshop for the creation of a mobile app for ecosystem based adaptation which reunited technical staff from the IFRC and The Nature Conservancy. In Barbados, I got the chance to complete a training on Preparedness for Effective Response (PER) at the Red Cross Caribbean Disaster Risk Management Reference Centre (CADRIM). The PER training covered the various ways National Societies can assess their emergency response systems and in turn, strengthen them, and provided practical insights into the challenges and opportunities to consider in building capacity for response efforts. What’s proven challenging during your internship? No matter how experienced of a traveler you are, relocating anywhere comes with at least a few challenges! I was lucky to be welcomed by colleagues with extensive experience and willing to share their knowledge and insights, never tired of answering the countless questions I ask them. I was also supported by Jenny as my supervisor from the division at Lund. I truly recommend to anyone interested in doing an internship to pursue the possibility to do so! The only thing I would have liked to have known is how difficult and long of a process it can be to find an internship with meaningful tasks matching one’s interest. I started the search process pretty early on in December and only confirmed my place with the organization of my choice early August. Is there anything you’d like to highlight about your experience so far, or any final words of advice you’d like prospective DRMCCA students to know? An important consideration when choosing an organization with which to intern is whether you’d like to work with communities or would prefer an experience at a more regional level for example. Though based in the Caribbean, I am working in an office rather than in the field. However, this has provided me with a really thorough understanding of the way the IFRC and National Societies work together. My advice is to define a specific interest you have, geographically and/or field of work and to not underestimate the time it might take to finalize everything. Another important factor in my opinion is to find a supervisor within the organization that you feel will be supportive and enjoy working with, it really makes a difference. All this might sound like a lot of work, and to be honest, it likely will be; but most things worth having do not come easily, do they? It really is worth investing the time in finding an internship that will provide you with as much learning as possible. As you may have guessed, my conclusion regarding the internship is it has been totally worth it. I am ready to get back to Lund with a head full of ideas, a heart full of joy and a thesis topic. I will miss the warmth of the Caribbean, by which I mean I will miss the amazing team I was lucky to work with at the CCST (Trinidad and Tobago) and CADRIM (Caribbean Disaster Risk Management Centre based in Barbados) – granted, the tropical weather perhaps a little also. Thank you for everything. I hope to see you all again soon! This entry was posted in Studies, Uncategorized and tagged Caribbean, climate change adaptation, Disaster Risk Management and Climate Change Adaptation, DRMCCA, International, Internship, islands, Red Crescent, Red Cross, training. Bookmark the permalink.